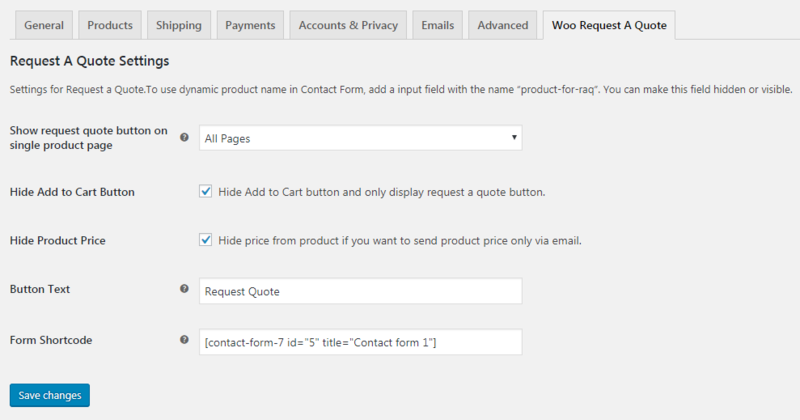 Woocommerce Request a Quote Addon allow customers / visitors to send an enquiry for any extra information or Quotation for specific products. This plugin will integrate with any contact form plugin like Contact Form 7 or Gravity Form. So that you can manage to have as many as field you need to have on a request a quote popup on product page. 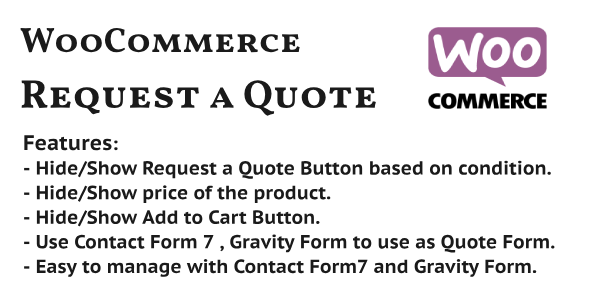 As per Contact Form 7 configuration or Gravity Form Configuration, all the quote request will land to the specific email, so that you can directly revert back without ang hassle. Email notification will work as usual in Contact Form 7. Follow below steps to receive the quote from the product. Create a Contact Form using Contact Form 7 as per your need. If you want the name of the product, you just need to create an input field in contact form 7 with the name of the field as “product-for-raq”. You can make this field hidden or visible.